Home Off Beat	Skeleton tattoo-Innovatively cool! Now this has to be a marvel. Indubitably, weâve witnessed numerous skeleton tats but this gotta be the most attention grabbing tat ever, ainât it? 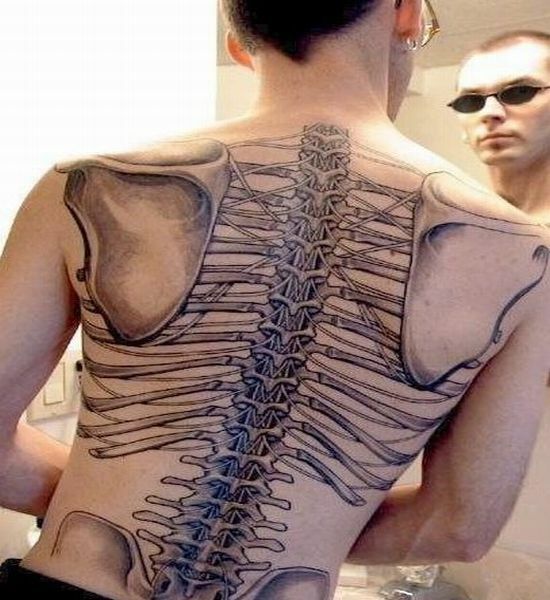 Imagine someone has his full back covered and that too with a skeleton tat! Innovatively cool is what I have to say for this tat.